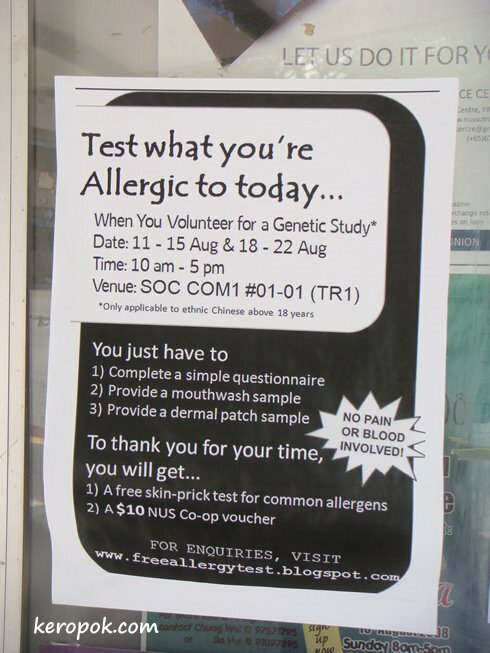 'Boring' Singapore City Photo: Take an allergy test and get paid for it as well? Saw this poster at one of the bus stops at NUS. Think its some research group collecting samples. Click http://freeallergytest.blogspot.com/ to find out more. It seems anyone can participate. You do not need to be from the NUS Community.